Abdelrehim Shaheen (°1953, Qena, Egypt) is an artist who mainly works with painting. With a conceptual approach, Shaheen absorbs the tradition of remembrance art into daily practice. This personal follow-up and revival of a past tradition is important as an act of meditation. Alaa Lotfy (°1973, Cairo) makes drawings, paintings and drawings. By choosing mainly formal solutions, Lotfy makes works that can be seen as self-portraits. Sometimes they appear idiosyncratic and quirky, at other times; they seem typical by-products of American superabundance and marketing. 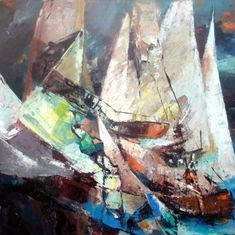 Mohsen Attya (°1947, Cairo, Egypt) is an artist who mainly works with painting. With a conceptual approach, Attya creates intense personal moments masterfully created by means of rules and omissions, acceptance and refusal, luring the viewer round and round in circles. This is my art studio, "our art studio" my husband "Alaa Lotfy" and I used to create our graphic designs and artworks using this name "Blue bird studio" at 2003, just another year our son "Ahmed, almost 4 year-old" became our new partner, he made his 1st exhibition at Cairo atelier in Downtown, Cairo. 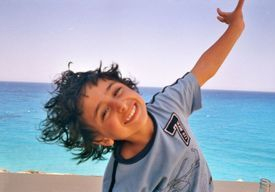 Ahmed Alaa, he is the new studio member, from that day he is paint and draw with us, each one of us have his own atelier inside the mail studio. Here is the idea, as well as, Cairo atelier in downtown consists of many atelier and a spaces of gallery for changing exhibitions to another artists, why we don’t do that “on a small scale”? 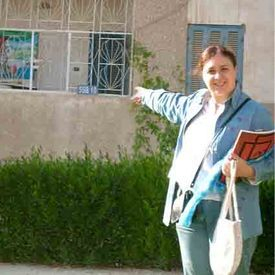 The gallery had opened on October 2006, and it was as the 1st art gallery at New Cairo City. I was born in 1972, currently, live and work as a graphic designer at Cairo, Egypt, I graduated from Faculty of Art Education, Helwan University in 1996. Since that date I never stopped learning, as I strongly think that we are learn every single day. Although my job is a graphic designer, I also make photos, paintings and mixed media artworks. With a subtle minimalistic approach, I try to develop forms that do not follow logical criteria, which incite the viewer to make new personal associations. I believe that positive attitude always could make high and speed communication, which lead to a productive teamwork. Even if I faced an issue, I know how to deal with it as I have thinking skills and flexibility that make me match it with previous problems. 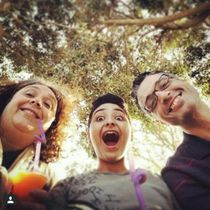 Hi, my name is Nashwa and this is my small creative family; my husband, Alaa and my son, Ahmed. 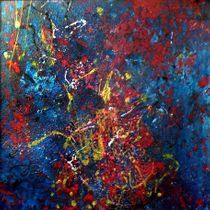 I'm also an artist and a graphic designer, our art store is not only to show and sale our artwork, but also to sale a selected artworks by a few unique artists. 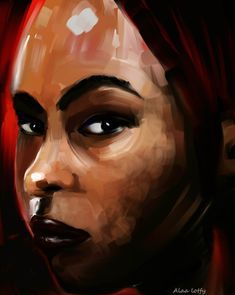 As a house wife I realize how important the painting's content is matter especially when we have children at home, also colors, sizes and prices.